If you’re thinking of applying to University soon, then you’ll know that there are lots of things to consider. Rankings, entry requirements, course options, nightlife, societies…. the list goes on. 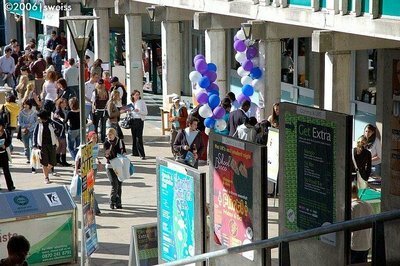 A great way to get a feel for which Uni fits you is to attend an open day. So, you might ask, “when are university open days?”. We’ve got all the open days, listed by date. Anglia Ruskin, University of Blackpool and The Fylde, Central College, Nottingham City University London, De Montfort University, Kingston University, Newcastle University, Northumbria University, Southampton Solent, University of Edinburgh, The University of Northampton, University Campus Suffolk, University for the Creative Arts, University of Derby, University of Dundee, University of Exeter, University of Gloucestershire University of Greenwich, University of Liverpool, University of Manchester, University of Reading. Bishop Grosseteste University, University of Central Lancashire. Blackpool and The Fylde Colleg, eBuxton & Leek College, Perth College, University of the Highlands and Islands, University of Cambridge – Emmanuel College, University of St Andrews, University of the Highlands and Islands, University of the West of Scotland. Buxton & Leek College, University Centre Blackburn, University of the West of Scotland. Richmond, the American International University, SRUC. Birmingham City University, Brunel University, College of Agriculture, Food and Rural Enterprise, Coventry University, East Surrey College, Edinburgh Napier University, Falmouth University, Heythrop College, University of London, Leeds Metropolitan University, Liverpool Hope University, Liverpool John Moores University, London College of Communication, London Metropolitan University, Newman University, Oxford Brookes University, Queen Margaret University, Royal Holloway,, University of London, Sparsholt College, Suffolk College, The University of Manchester, University of BoltonUniversity of Brighton, University of Buckingham, University of Chester, University of Chichester, University of Cumbria, University of East Anglia, University of Kent, University of Lincoln, University of Portsmouth, University of Sunderland, University of Sussex, University of the Highlands and Islands, University of West London, University of Winchester, UWE University of the West England, Bristol Writtle College. Leeds Metropolitan University, Sheffield Hallam University, The Academy of Contemporary Music. Boston College, South Cheshire College. Boston College, College of Agriculture, Food and Rural Enterprise, Edge Hill University, Exeter College, Regents University London, University of the West of Scotland. Bishop Grosseteste University, College of Agriculture, Food and Rural Enterprise, Lincoln CollegeNescot, Robert Gordon University, SRUC, University of Bristol, University of East Anglia, University of Greenwich, University of the Highlands and Islands, Wimbledon College of Arts, University of the Arts London. Boston College, Hugh Baird College, University of the West of Scotland. Heriot-Watt University, Norwich University of the Arts Royal Conservatoire of Scotland University of Bradford. Arts University, Bournemouth Bangor University, Buckinghamshire New University, Canterbury Christ Church University, Edge Hill University, Goldsmiths, University of London, Heriot-Watt University, Kingston University, Leeds Trinity University London Metropolitan University, London South Bank University, Loughborough College, Manchester Metropolitan University, Myerscough College Nottingham Trent University, Plymouth University, Queen Mary, University of London Swansea University, Teesside University, University College Birmingham, University of Bradford, University of Brighton, University of Chester, University of Chichester, University of Cumbria, University of Derby, University of Essex, University of Hertfordshire, University of Hull, University of Kent, University of Leeds, University of Liverpool, University of Strathclyde University of Surrey, University of Westminster University of Winchester. Harper Adams University, Staffordshire University, University of Hertfordshire. Buckinghamshire New University Buckinghamshire New University Buxton & Leek College, Central College Nottingham, Colchester Institute, Heythrop College, University of London, Liverpool John Moores University Royal Agricultural University, Stafford College, University for the Creative Arts, University of St Andrews. Buxton & Leek College Central College Nottingham, Hereford College of Arts, Leicester College Wimbledon College of Arts, University of the Arts London. Royal Conservatoire of Scotland, University of Buckingham, University of Wales Trinity Saint David. Aberystwyth University, Anglia Ruskin University, Aston University, Birmingham, Bath Spa University, Buckinghamshire New University De Montfort University, Liverpool John Moores University, Manchester Metropolitan University, Middlesex University Newcastle College, Norwich University of the Arts, Sheffield Hallam University, Southampton Solent University The University of Northampton, Truro and Penwith College, University of Bedfordshire University of Birmingham, University of Lincoln, University of Portsmouth, University of Salford, University of St Mark and St John, University of Surrey, University of Wales Trinity Saint David, University of Winchester, Warwickshire College. Bishop Grosseteste University, Canterbury Christ Church University, Keele University, University of Central Lancashire. Wakefield College, Wakefield College, Warwickshire College. Barnsley College, London College of Communication, Suffolk College, Teesside University University Campus Oldham. North Somerset Enterprise Technology College (NSETC), Wakefield College, Warwickshire College. Bangor University, Bath Spa University, Bournemouth University, Cardiff University, Coventry University, Coventry University, College Edge Hotel School University of Essex, Falmouth University, Glion Institute of Higher Education, Hereford College of Art Kaplan Holborn College, Leeds Trinity University, Liverpool Hope University, Manchester Metropolitan University, Northumbria University, Royal Holloway, University of London, University of Bedfordshire, University of Brighton, University of East Anglia, University of Essex, University of Glasgow University of Gloucestershire, University of Hull, University of Leicester University of Reading, University of South Wales, University of Sunderland, University of the Highlands and Islands, University of Wales, Trinity Saint David, University of Warwick, Wimbledon College of Arts, University of the Arts London, York St John University. University of Dundee, Wimbledon College of Arts, University of the Arts London. Coventry University London Campus, Heythrop College, University of London, Lancaster University, Royal Agricultural University, Royal Welsh College of Music and Drama, St Marys University, Twickenham, University for the Creative Art, University of Brighton, University of Huddersfield, University of St Andrews, Writtle College, York St John.